Smash’s Raza Jafrey will star as charismatic lawyer Billy Flynn in the West End production of Chicago from May 16 through July 14. Jaffrey will take over the role at London’s Garrick Theatre from David Bedella, who leaves the production on May 12. Professional figure skater and Olympic Gold medalist Robin Cousins will star as charismatic lawyer Billy Flynn in the West End production of Chicago beginning July 17. Cousins will perform a limited engagement through September 8 at London’s Garrick Theatre. Sarah Soetaert, Rachel McDowall and Terence Maynard are set to join the West End production of Chicago at the Garrick Theatre. Maynard, who will play Billy Flynn, begins performances on December 31, with Soetaert (Roxie) and McDowall (Velma) joining the cast on January 2, 2012. Darius Campbell will return to the West End production of Chicago as Billy Flynn when the production reopens at the Garrick Theatre on November 7. Campbell will star opposite previously announced leading ladies America Ferrera as Roxie Hart and Amra-Faye Wright as Velma Kelly. The West End production of Chicago will transfer to the Garrick Theatre on November 11, according to U.K.'s The Stage. The musical played its final performance at the Cambridge Theatre on August 27. No casting has been announced for the next incarnation of the long-running revival, which recently featured American supermodel Christie Brinkley as Roxie Hart. David Bedella will join the West End production of Chicago on February 28 as lawyer Billy Flynn. The actor is scheduled to play a limited engagement at the Cambridge Theatre through May 8. Emma Barton is headed to the West End production of Chicago as Roxie Hart on April 26 for a 12-week run. Best known as Honey Mitchell in EastEnders, Barton previously played Roxie in the show’s U.K. tour. 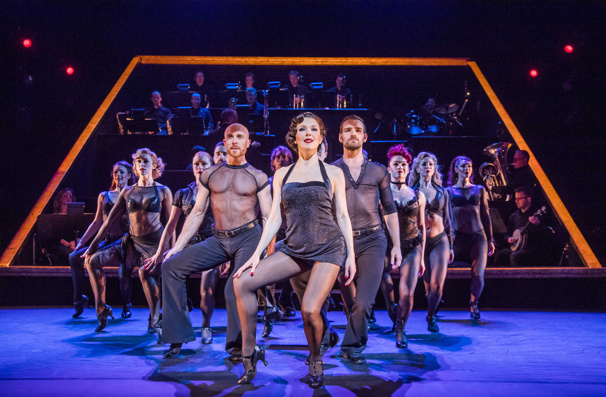 Chicago continues its run at the Cambridge Theatre. Ruthie Henshall is extending her stay in the West End production of Chicago by two months. The performer will now play Roxie Hart through April 18 at London’s Cambridge Theatre.